You want to go All The Way? Use crab in your burgers! Soft shell means no diggin' out the flesh with the fingers. Beer batter that baby and shove it between a soft bun! Wash and clean the crabs, drain well. Combine the beer batter ingredients together, batter, dust the crabs in extra flour and deep fry until cooked and golden. Combine the southwest sauce ingredients together. 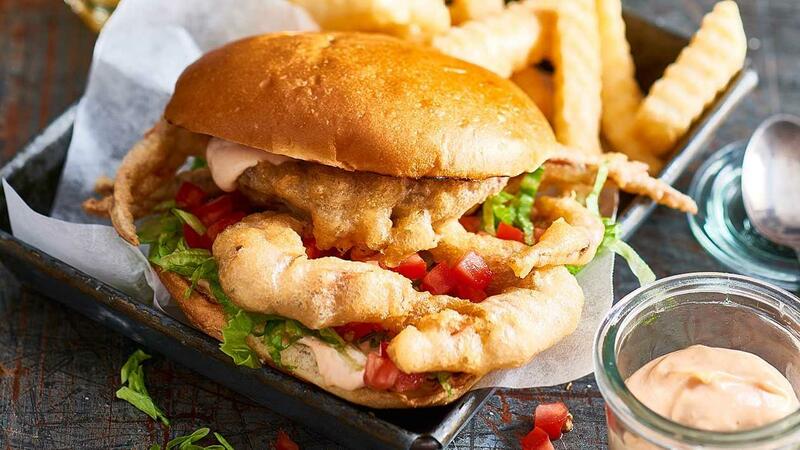 Cut and grill the burger buns and assemble the sandwich in the following order – bun base, southwest sauce, lettuce, tomato, cooked crab and top bun.